"I love IGT Slots: Aztec Temple -- I just wish you got more free spins! This particular game is exactly like the one at the casino." 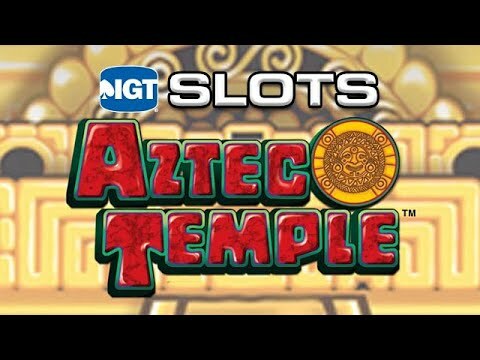 Discover the ancient empires of Mexico with IGT Slots: Aztec Temple, the latest premium slot experience from the world’s leading slot machine manufacturer. Also enjoy Secrets of Stonehenge, an exciting bonus video slot, as well as two bonus mechanical slots, Double Diamond Free Games and Lucky Lines. With amazing graphics, thrilling video bonus rounds and true-to-life slot entertainment, IGT Slots: Aztec Temple will have you playing and winning for hours. Feast on 20 superior slot machines and become a true high roller.